The goal of the Instructional Coaching Group is to ensure that ‘every student receives excellent instructions every day in every class’. Over more than two decades of research, the Group has been able to identify several factors that are essential for developing and sustaining a great coaching program to improve student outcomes and wellbeing. 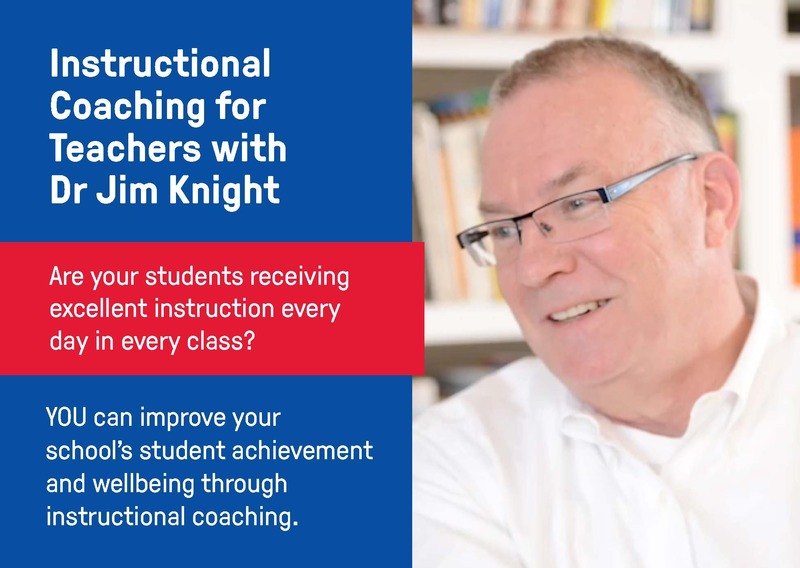 In this workshop, world leader in Intensive Instructional Coaching Jim Knight will teach you how to implement these factors, habits and strategies in your school. This workshop has not been offered in Australia before. Jim Knight is the world leader in Intensive Instructional Coaching. He has spent more than two decades studying professional learning, effective teaching, and Instructional Coaching. He is a Research Associate at the University of Kansas Center for Research on Learning and the President of the Instructional Coaching Group. Jim has presented to more than 30,000 educators from six continents and written a number of books. Note: This is a cost-only price. To secure your ticket, please book by 10 September 2018.